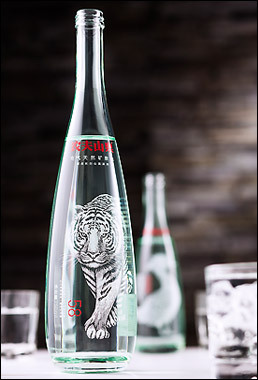 Slovenian glassworks company Steklarna Hrastnik, a leading manufacture of premium-quality packaging for clients including Hennessy, Bacardi and Diageo, has opened a competition searching for the best new designs of spirit bottles. Steklarna Hrastnik has collaborated with Polish glass-decorators, Dekorglass and The Drinks Report to introduce the design competition, which not only seeks to find the three best spirit bottles in the premium segment, but reward them by bringing the concept to life. The winners will also receive €2,000 and media coverage for their new design. A selection of industry experts will judge the competition and be assessing concepts based on overall appearance, bottle aesthetics, decorated bottle assessment, technical feasability and its suitability for holding spirits. Applications are open until October 31, 2016, before the final submission date of February 27, 2017. The winners will be announced on March 17, 2017 before being presented at a ceremony taking place at the World Drinks Awards. The award-winning bottles will be included in Steklarna Hrastnik’s HighGlass collection of technically perfect bottles of super-premium quality, made from the purest glass. Spirit brand owners can add their own bespoke decoration to bottles in this collection to give the bottle a unique mark or brand logo for added authenticity. Evidence of how the HighGlass collection allows for innovative décor can be found in the design for the premium Nongfu mineral water. Winning submissions, that display a combination of boldness, innovation and utility, will be brought to life by Steklarna and Dekorglass. With their pedigree, together the two companies are a guarantee of premium and high-quality. Both possess fully automated production, which combined with the purity of the glass and technical know-how allow Steklarna Hrastnik to produce the most demanding special-shaped bottles and the innovative approach to décor by Dekorglass. More information about the award, including submission instructions and selection criteria, is available here.